Description: As you know modern princesses Ariel, Rapunzel and Elsa are BFFS, and they love to spend time together, especially when it comes to Halloween! 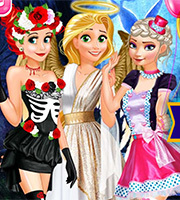 Princesses ask you to help them out with the finding perfect costumes for the party! Are you ready to start? Letâ€™s choose the best costume for each princess. There are many different costumes of beautiful angels, trendy witches, spooky ghosts and other fine characters. 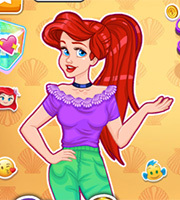 Try every costume, switch them with interesting accessories and find a perfect combination for each princess! 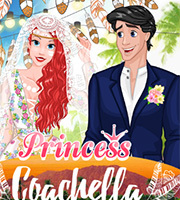 When you are done with costumes, help the princesses to choose the place where they will party! Get ready for the funniest holiday of the year and have fun with your favorite Disney princesses! Happy Halloween!